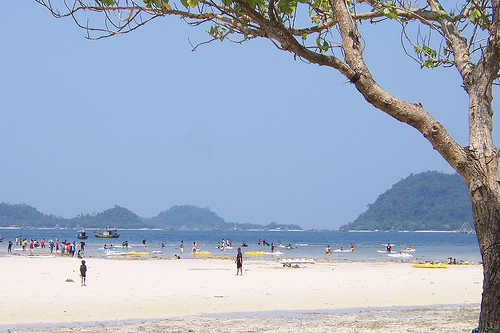 Pasir Putih Beach is one of the most popular destinations in Lampung, Indonesia. This beach is visited by many tourists inside or outside the country. Panorama beautiful beaches, making anyone feel at home visit there. Dazzling white sand located on the coast near the city of Bandar Lampung is a very refreshing eye and caused a strong desire within themselves to the surrounding. Located about 20 kilometers from the city, if you use a car passing through the road of the Trans Sumatra, Lampung city, you will get to this place within 30 minutes. Or you can also use public transportation from Lampung, who went straight to the Pasir Putih Beach.